Did Trends Win The Last Cheltenham Foxhunter Chase? 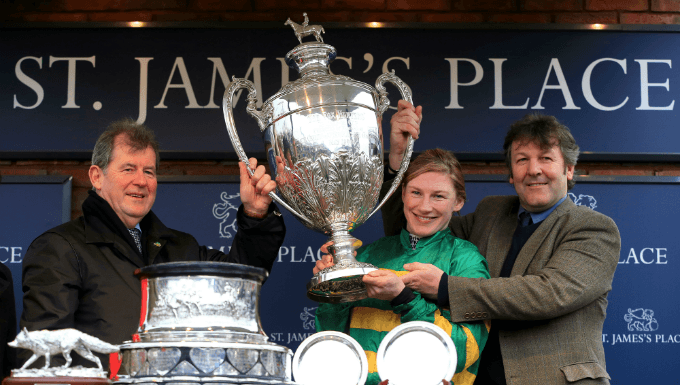 The key 15-Year Trend for the 2019 Cheltenham Foxhunter Chase shortlist was 'won a hunter chase', as so few aged 11 or under had met that requirement for Festival victory. Hazel Hill, Shantou Flyer, Road To Rome, and Ucello Conti scored best on trends, all ticked the top five above, as well as fulfilling all the key 10-Year trends. They went on to be first, second, fourth and fifth, the most crucial statistic being their fitness and freshness. It's a fine balance between fit and tired, horses that run too close to this 3m2f chase pay the price, and those that have not run enough during the season also suffer, never more than in 2019 when Road To Rome set a blistering pace on holding ground. Just nine of the 24 runners finished, 12 being pulled up, including many who had been fancied in the Cheltenham betting. The horse with the biggest odds in the tip four, third Top Wood, a 33/1 chance, failed the win trends on age (12) and a recent run, as his last outing had been the previous April where he pulled up. But he did fit the place trends (see below). Aged 11, Hazel Hill finally made his breakthrough, winning the 2019 Foxhunter Chase in emphatic style for trainer Philip Rowley and jockey Alex Edwards. Having won 14 of his last 15 races, he was sent off the 7/2 favourite and given a determined ride by Edwards, one of few not to let blazing front-runner Road To Rome get too far away. The winning pair kicked on in the straight and strode away to win by four lengths over Shantou Flyer and the 2018 second Top Wood, with Road To Rome hanging on for fourth. Hazel Hill had only joined the Rowley-Edwards team two years earlier and had won virtually every start, running in his first hunter chase aged 10 in 2018. Owned by Diana Williams, the son of Milan had won three hunter chases by a combined 37 lengths.